There are many castles in Transylvania which for many reasons have not been restored. Some have been constantly restored while others have not. Bran Castle is one example over the years there have been many restorations. Where as Alba Iulia and its surrounding hill have not. Yet the city of Alba Iulia has had extensive restorations over the years. The third for many reasons will possibly never be restored no matter where Transylvania is in terms of restoring castles-- its past owner made it that way. 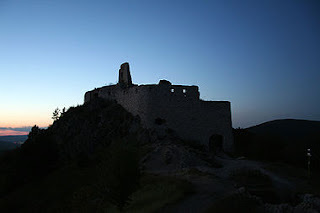 Below is the image in the evening of the castle where Elizabeth Bathory lived. There is something about Transylvania that makes the land so interesting. 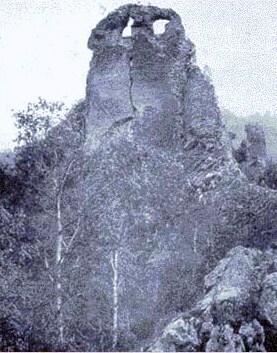 The ruins of some castles are more important than restorations in this land.